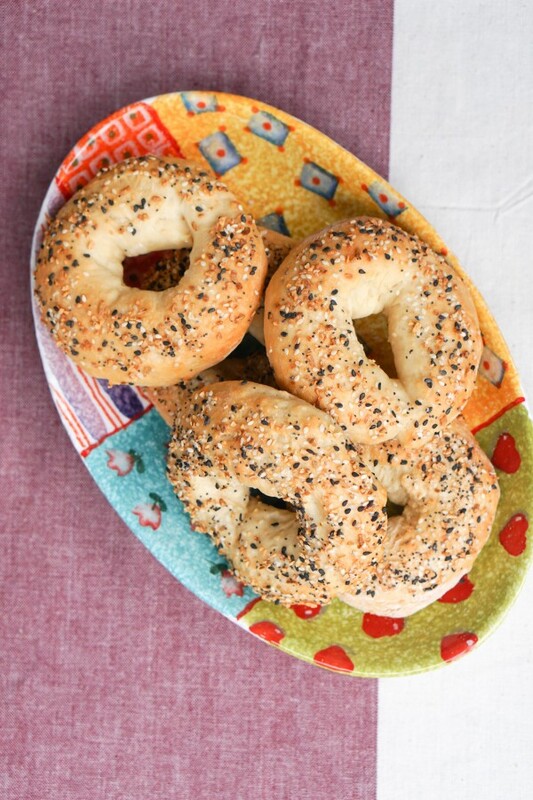 Bagels definitely top my favorite foods list – if only they were better for you, I’d eat one every day… maybe two. 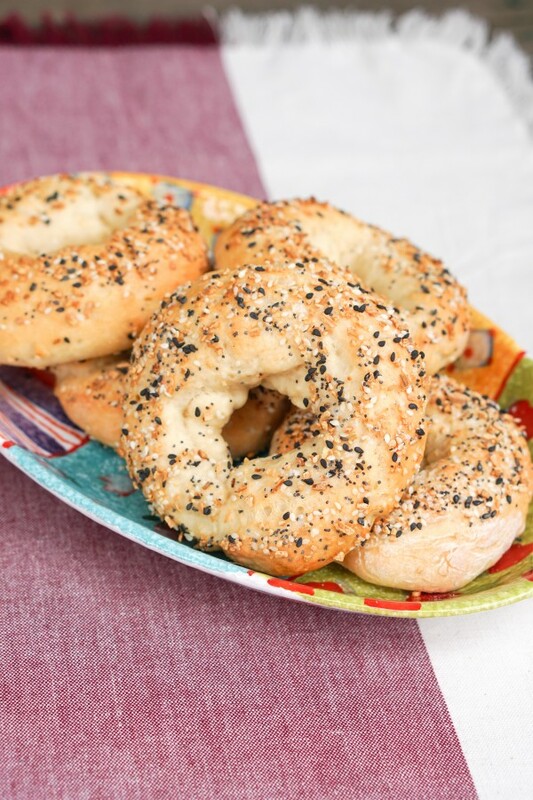 When I started seeing a healthy bagel recipe popping up all over Facebook from one of my favorite blogs for recipes, Skinnytaste, I was skeptical. But I also knew that I’m very rarely disappointed with Skinnytaste recipes, so I went for it. Verdict: A+. The best thing about this recipe is that there are just 5 ingredients – flour, baking powder, salt, Greek yogurt and egg white – and I usually have all of them in my fridge, so I can whip these up anytime. I’m not kidding when I say that this recipe is a matter of mixing up these ingredients, kneading the dough, rolling them out and sprinkling with your favorite topping. 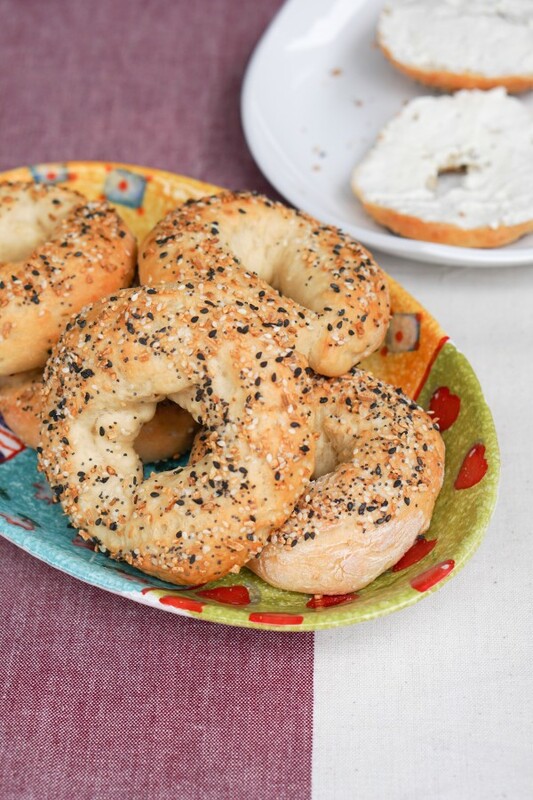 For me, that means Trader Joe’s Everything But the Bagel seasoning, but you can use anything like sesame seeds, dried onion flakes or poppy seeds. This weekend was my second time making them and I am definitely getting the hang of the shape better than I did my first try. 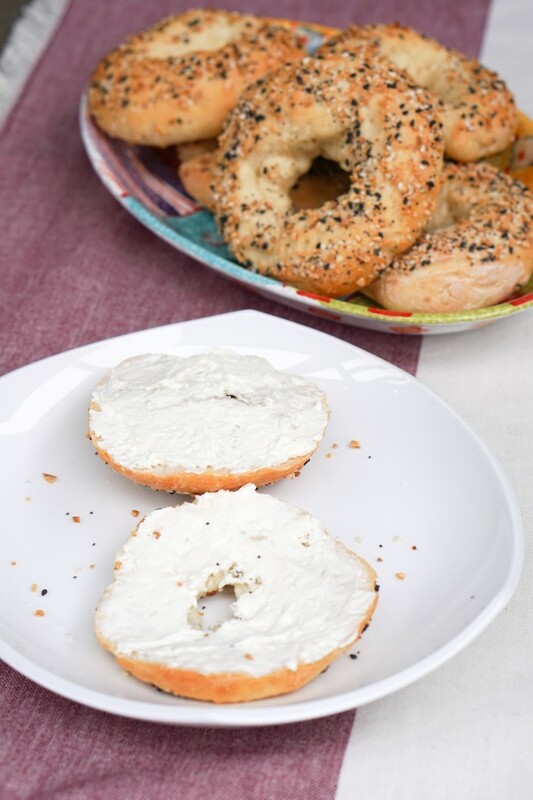 I will say that they have the best texture when they’re fresh out of the oven, but I still loved them as an easy at-my-desk breakfast topped with cream cheese throughout the week. Just throw them in the refrigerator to keep them fresh. I haven’t tried this yet, but Gina from Skinnytaste also says you can slice then freeze them if you want to make them in bulk for later. Head over to Skinnytaste for the recipe – let me know how it goes!